California Department of Public Health issued a public health fact sheet, "How to Reduce Exposure to Radiofrequency Energy from Cell Phones" in December 2017; it indicates "Children may be more at risk for harm from exposure to RF energy". In June 2018, the WHO defined the diagnosis Gaming Disorder in the International Classification of Disease. This brings the diagnosis into mainstream medicine where insurance companies will now be expected to pay for prevention and treatment. Our message is "safe technology" rather than "no technology." We will all benefit from technological innovation and the economic boom that safe technology will bring. Our youngest and most vulnerable citizens are now exposed to hazardous radiation from wireless technology in school 180 days a year for 13 years of their developmental life. And they continue to be exposed at home and in public areas 24/7. As digital addiction takes hold, teachers compete for students' attention. An increasing number of schools are implementing a 'No cell phone' policy during school hours. This seemingly insignificant policy can have a tremendous impact on reducing children's daily exposure to wireless radiation in classrooms and psychological dependence on screens. 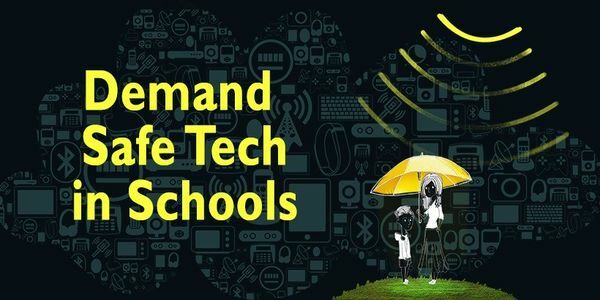 In accordance with statutes that require businesses to inform citizens about exposures to chemicals known to cause cancer, birth defects or other reproductive harm, all citizens should be taught safer handling of wireless technology and schools should urgently adopt medically recommended best practices and incorporate Safe Tech in their curriculum. The public has the right to know so please issue public health fact sheets on wireless radiation risks so the public can make informed technology choices. A healthy lifestyle is no longer eating organic and reducing toxic chemicals in the household; now it is also about reducing overexposure to wireless radiation. With the upcoming 5G Network and Internet of Things (IoT) it is urgent to implement measures to protect our citizens and the next generation now.